This is one of the first in our series of "Historic America Road Trips" and is based on a road trip sent in by a member of The History List community, Betsy Havens. You can read her story and view other road trips to historic sites. If you have suggestions for additions to this trip, please add them in the comments below. If you have an entire trip to share, please let us know. If we publish your trip, you'll receive full credit—and your choice of a shirt from The History List Store. Born on February 5, 1725, in Barnstable, Massachusetts, James Otis was a lawyer and was appointed as advocate general in the vice admiralty court in 1756. He resigned from his post after the candidacy of his father’s post for Chief Justice was bypassed. Fueled by principle and revenge, he represented merchants opposing the Writs of Assistance. The phrase "Taxation without representation is tyranny" is usually attributed to him. Osgood Farm was owned by Jacob Osgood who served in Nicholas Holt's company during the Revolutionary War and was friend and host to James Otis. Otis spent nearly two years at the Osgood farm recuperating from a head injury and was killed here by lightening in 1783. This homestead has since been connected to Otis and his tragic end. After failing as a shopkeeper, Patrick Henry became a lawyer. He is best remembered for his speech given at St. John’s Church in 1775 in which he cried “give me liberty or give me death!” urging the crowd to Revolution. He fought for the Bill of Rights which preserved individual liberties. He was the first governor of Virginia who served for five terms. Patrick Henry lived in Scotchtown from 1771-1778. It is here where he wrote the ideas for his “Liberty and Death” speech. In 1794, he purchased Red Hill where he lived modestly until his death in 1799. John Dickinson was known as the “Penman of the Revolution”. He was an American statesman, delegate to the Continental Congress and one of the writers of the Articles of Confederation. He represented Philadelphia in the second Continental Congress in 1774 but was unseated after declining to sign the Declaration of Independence. John Dickinson lived at the plantation, also called as “Poplar Hall” since he was seven years old until his death in 1808. After John's death in 1808, the plantation passed to his daughter and remained in the family until 1933. Then the property passed through a series of owners. In 1952, the State of Delaware purchased the mansion with 12 acres of land for $25,000. The mansion opened as a museum in May 1956, after three and a half years of restoration. Thomas Paine was an influential 18th-century English-American writer of essays and pamphlets. He is the author of The American Crisis and Common Sense, which became Paine’s most influential piece, bringing his ideas to a vast audience and swaying the public opinion to the view that independence from the British was a necessity. The Thomas Paine Cottage is the last structure in North America that the Founding Father owned as his home and is open to the public as a historic house museum. The Cottage contains some of the few artifacts that were once owned by Thomas Paine: a simple chair and a cast-iron stove given to Paine by Ben Franklin himself. The Cottage is located on the last two acres of a 300-acre farm awarded to Paine by a grateful New York State for his services in the struggle for independence. George Mason was among the first to call for such basic American liberties as freedom of the press, religious tolerance and the right to a trial by jury. In 1787, Mason was chosen to attend the Constitutional Convention in Philadelphia, where he was one of the most vocal debaters and delivered 137 speeches. Distressed over the amount of power being given to the federal government and the Convention’s unwillingness to abolish the slave trade, Mason refused to sign the Constitution. Gunston Hall (1755-1759) is the architectural gem built for George Mason IV by William Buckland and William Bernard Sears. After its completion in 1759, few changes were made. 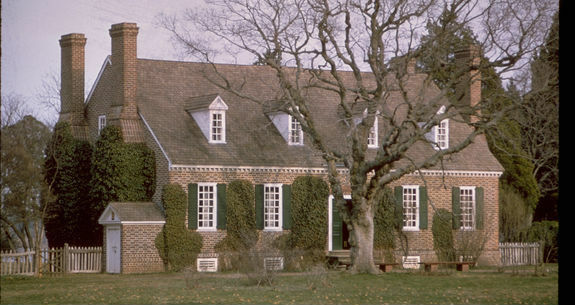 As a result, Gunston Hall remains as a vital example of the Georgian style washed upon Virginia's shores. Seven generations of Livingstons lived at Clermont, a riverside mansion with a rich and varied history. 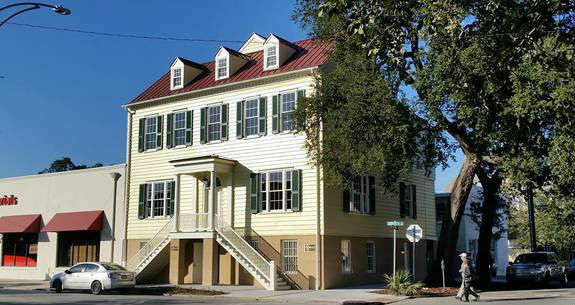 Now a museum, it holds a wealth of info on over two centuries of people, from wealthy land-owners to immigrant servants and enslaved African workers. The fourth U.S. president, James Madison believed in a robust yet balanced federal government and is known as the "Father of the Constitution." He coauthored the Federalist Papers and authored the Constitution and Bill of Rights. He was the Secretary of State under President Thomas Jefferson and together with Livingston, negotiated the Louisiana Purchase. He died in 1836, at age 85, the last of the founding fathers to pass away. The house where Madison was born in Belle Grove no longer stands. Today, much of the property is still used for agriculture. The mansion has been restored and utilized as a Bed and Breakfast. Montpelier was built by Madison’s grandfather in 1732. It started as a modest home called Mount Pleasant. This is where Madison grew up and where he retired after his days as president were over. After Madison died, his wife sold Montpelier and the estate changed hands several times with plenty of additions in between. The last owner was Marion duPont Scott who left the estate to the National Trust for Historic Preservation in 1983 with the proviso that it be restored to the way it was in Madison's time. Gouverneur Morris is widely credited as the author of the preamble: “We the People of the United States, in order to form a more perfect union….” He is known as the "penman of the revolution". He came from a wealthy New York family, suffered a childhood injury that left his arm badly disfigured and later lost a leg in a carriage accident. Despite his handicaps, he joined a militia company even though he was exempt. His loyalist mother offered the British use of their family estate making Morris a war refugee. Due to his upbringing he was distrustful of "too much democracy" but this thinking shifted upon meeting John Jay and Alexander Hamilton. He became minister to France under Washington during the French Revolution. The Gouverneur Morris “mansion” was built in 1809 to serve as a temporary residence for Morris when he visited his large landholdings in the north and was mainly used by his land agents. It was called a “mansion” because it was significantly bigger compared to the other homes in the area. Edmund Randolph was born surrounded by influential people and he himself became one of the most influential of them all. He served as a lawyer, and was an early proponent of "states' rights". He helped in the first draft of the Constitution but refused to sign it because he felt it gave the central government too much power. The next year, he urged his state of Virginia to adopt the Constitution because he didn't want VA to sit on the sidelines in the formation of the new nation. He became the first Attorney General appointed by President George Washington and was promoted to Secretary of State during Washington’s second term. Unfortunately, due to a scandal with a French ambassador he resigned and withdrew from national politics. Randolph’s house was demolished in 1884. He stayed with his cousin George Burwell at Carter Hall during his retirement. George Washington was the first president of the US and served from 1789 to 1797. He is known as the “Father of his Country.” He served as a general and commander-in-chief of the Continental Army during the American Revolution. The house where Washington was born no longer stands, but its foundations have been discovered and preserved. In 1896, a memorial shaft was erected on the property and the Memorial House constructed in 1932, at about the time of the bicentennial of Washington’s birth. 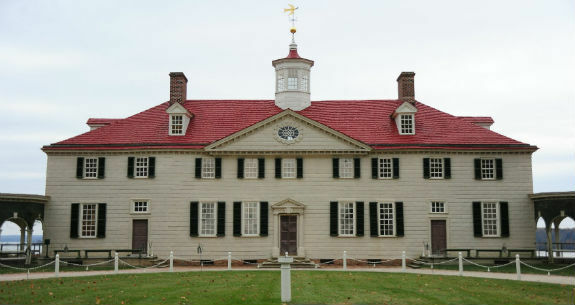 Mount Vernon was built 1735 by his father, Augustine. It began as a one and a half story farmhouse. After George acquired the property in 1754, he slowly enlarged the house for the next 45 years. He supervised all the renovations careful to select architectural features that express his growing status as a Virginia gentleman and father of a democratic nation. Alexander Hamilton was a lawyer and became lieutenant colonel for George Washington’s staff in 1777. He was later appointed as the first Secretary of the Treasury. He established the first national bank and the newspaper that is now the New York Post. He was a staunch advocate of strong central government and against slavery. He died from a gunshot wound sustained after dueling with Aaron Burr. Hamilton had supported a Thomas Jefferson presidency over Burr and thwarted Burr's ambitions to a New York governorship which resulted in a fatal feud. Hamilton commissioned architect John McComb Jr. to design a Federal-style country home on a 32-acre estate in upper Manhattan. This house was completed in 1802 and named "The Grange" after his father's ancestral home in Scotland. John Jay served in the Continental Congress, was a diplomat, wrote some of The Federalist Papers and became the first chief justice of the United States. He stood up for the rights of colonies but still urged reconciliation, he opposed immediate separation from Britain and wanted to exercise a moderating influence upon radical factions. Along with Ben Franklin and John Adams, John Jay negotiated the Treaty of Paris. After his retirement, he became president of the American Bible Society and advocated for the anti-slavery movement. In 1785, Jay had inherited a 287-acre parcel, originally purchased by his maternal grandfather, Jacobus Van Cortlandt. Two years later, he inherited an adjoining 316 acres from an aunt. In the late 1790s, he decided to make the Bedford farm his home in retirement. He enlarged his farm manager’s house to become his own home, increased the number of outbuildings on the farm, and lived permanently in the summer of 1801. Timothy Pickering joined the Massachusetts militia and rose to the rank of colonel. He possessed a great talent for military organization and logistics. General Washington took notice of Pickering and appointed him quartermaster general. This allowed his talents and abilities to shine. Because of Pickering, General Washington's march from New York to Virginia for the siege of Yorktown went unimpeded. He wrote "An Easy Plan of Discipline for a Militia", a manual widely used by the Continental Army for many years. In 1795, he was appointed the secretary of war. Proposed the first military academy (West Point) and was in charge of the navy, overseeing construction of a fleet of magnificent frigates (Constitution, the United States, Constellation). Washington selected him as his secretary of state, he held this position until after John Adams was elected as president. The Pickering house is considered one of America's oldest Home and was home to a single family for over three and a half centuries. It was built in 1660 and over the next 350 years, it underwent a series of renovations and expansions. It is now open to the public under the auspices of the nonprofit Pickering Foundation. Oliver Ellsworth served as one of Connecticut's first two senators in the new federal government between 1789 and 1796. He was appointed Chief Justice of the Supreme Court and also served as a commissioner to France. He proposed the Great Compromise with Roger Sherman. He also left his mark through an amendment to change the word "national" to "United States" in a resolution. Thereafter, "United States" was the title used in the convention to designate the government. Ellsworth also served on the Committee of Five that prepared the first draft of the Constitution. Though he left the convention near the end of August and did not sign the final document, he urged its adoption upon his return to Connecticut and wrote the Letters of a Landholder to promote its ratification. Oliver Ellsworth Homestead was built in 1781. The original house is a two story wood frame on a stone foundation. Changes to the structure was done in the early 1790’s. The house was continuously occupied by Ellsworth family until 1903. It was then deeded to the Connecticut Daughters of the American Revolution and has been open as a museum ever since. James Monroe was the fifth president of the United States. He is known for his "Monroe Doctrine," disallowing further European colonization in the Americas and for expanding U.S territory via the acquisition of Florida from Spain. He was minister to France under President Washington during the French Revolution and negotiated the Louisiana Purchase with Robert Livingston. He founded the Republican Party along with James Madison and became the Secretary of state under Madison’s presidency as well as secretary of war upon John Armstrong’s resignation. Monroe operated the Highland for twenty-four years. It was a thriving plantation and was his primary source of income. Highland’s assets included the plantation house, barns, grist and saw mills, a smoke house, stables, an icehouse, as well as quarters for 30 to 40 slaves. Today, it is open to the public and serves as a reminder of the invisible work force that enabled the plantation system to work and thrive. He served as an officer in the Continental Army and was at Valley Forge through the winter of 1777-1778. He was appointed as a diplomat to France by President John Adams and became a national hero by refusing to compromise American sovereignty during a scandal with French foreign minister & agents X., Y., and Z. He was also appointed as secretary of state and became the fourth chief justice of the U.S. Supreme Court in 1801. Marshall's leadership established the Supreme Court as the interpreter and guardian of the Constitution when he ruled against a law passed by Congress that would've expanded his own jurisdiction (Section 13 of the Judiciary Act of 1789). 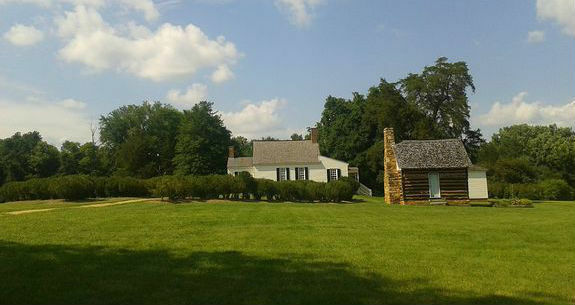 The John Marshall House was built in 1790. John Marshall lived here for 45 years until his death in 1835. The property remained in the Marshall family until 1911. It was sold to the City of Richmond and was saved from being demolished by local preservationists. The property has been a museum since 1913 and retains most of its original features and houses the largest collection of furnishings and memorabilia associated with the Marshall family. Rufus King was a member of the state legislature in Massachusetts and a representative in the Confederation Congress. He moved to New York City and was elected to the Senate. He became the ambassador to Great Britain serving from 1796 – 1803. He retired from public service briefly but returned to the Senate during the War of 1812 and was defeated in the presidential election against Monroe. King Manor was purchased by Rufus King in 1805. Under his ownership, King developed the property and it functioned as a working farm, a laboratory for his agricultural experiments and as a source of commercial profit. After his death, the estate was divided among his three sons. Nicholas Gilman, Jr. was one of the participants during the American Revolutionary War. Afterwards, he devoted his life in serving in politics. He was a delegate to the Continental Congress representing New Hampshire, became a member of the United States House of Representatives during the first four Congresses and was later appointed by Pres. Jefferson as a bankruptcy commissioner. Later, he served in the U.S. Senate from 1804 until his death in 1814. 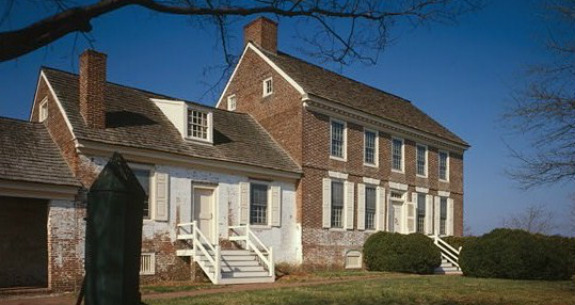 The Ladd-Gilman House was one of the state’s first brick houses built in 1721 by Nathaniel Ladd. It was purchased in 1747 by Daniel Gilman. The house became a meeting house for the Society of the Cincinnati in New Hampshire in the early 20th century and in 1973, it was declared a National Historic Landmark. 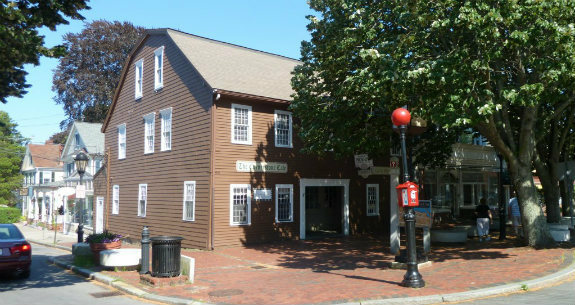 It is now a part of Exeter’s American Independence Museum. Nathan Hale was one of the first spies in the Revolution. He is quoted as saying moments before being hanged: "I regret I have but one life to give for my country." He was captured by the British and was hanged, his body was not returned and was never found. Hale is the state hero of Connecticut. 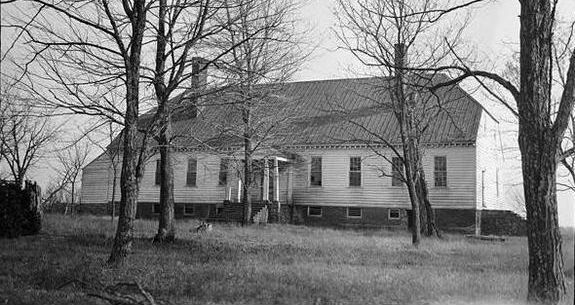 The Nathan Hale Homestead is also known as the Deacon Richard Hale House. After the Hale family, the house was sold to a series of other families who used it as a private residence. Today, it operates as a historic house museum. John Berrien was a revolutionary war hero who fought at Valley Forge and the Battle of Monmouth. He was an original member of the Society of the Cincinnati. Washington and Jefferson appointed Berrien as the Inspector of the Port of Savannah in 1792. He also served as an alderman, and was State Treasurer at Louisville. Berrien was born in Rockingham and was George Washington's final headquarters of the Revolutionary War. This is where he wrote his Farewell Orders to the Armies of the United States, giving thanks and praise to his troops and announcing his retirement from military service. 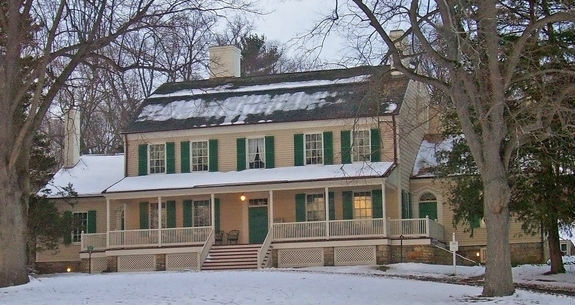 Berrien moved to New Jersey where his mother's kin resided and lived in Berrien House, built in the 1790's. It aslo became the home of his son, Senator John Macpherson Berrien, "America's Cicero." The house is being restored today. Born in Barnstable, Mercy Otis Warren moved into this house in 1757 when she married James Warren and lived here with their five sons. She was a political writer and activist during the American Revolution, and published plays and poems as well as one of the earliest histories of the American Revolution: History of the Rise, Progress and Terminations of the American Revolution. An avid letter writer, she corresponded with many of the Revolutionary leaders and was encouraged to express her opinions by her husband who had a successful political career and her brother, James, a leader of the American Revolution. The house is now the home of several businesses. One of New Hampshire's first brick houses built in 1721 by Nathaniel Ladd. 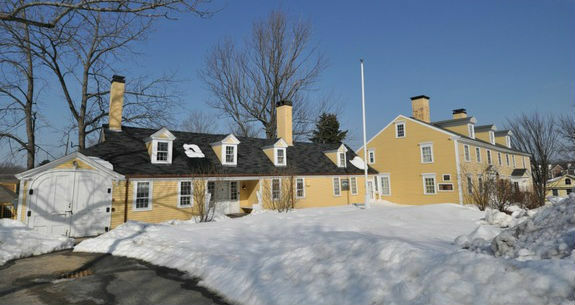 Purchased in 1747 by Daniel Gilman and home to Nicholas Gilman, Jr. Now a part of Exeter’s American Independence Museum. 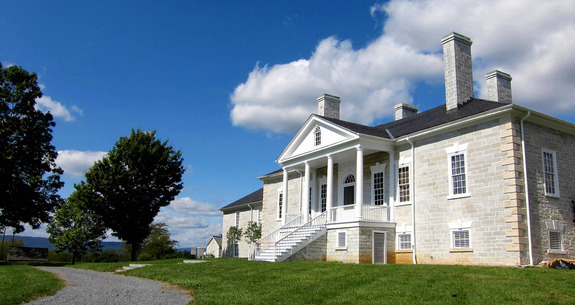 Belle Grove is a historic plantation and the birthplace of James Madison, the fourth President of the United States, in an earlier house which no longer stands. Home of Revolutionary War hero Major John Berrien and his son Senator John Macpherson Berrien, "America's Cicero." 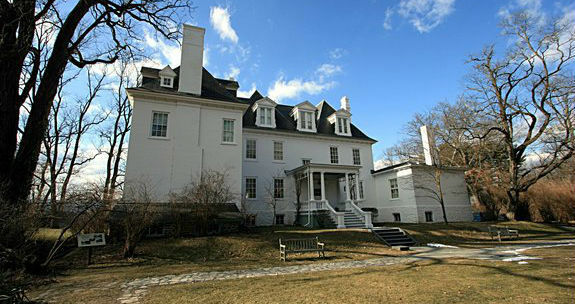 The Clermont State Historic Site, also known as the Clermont Manor, was the former estate of the family of Robert Livingston, seven generations of whom lived on the site over more than two centuries. 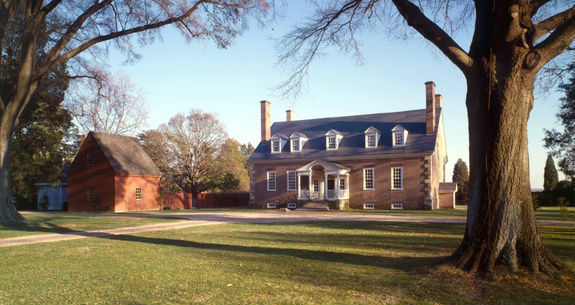 Established in the 17th century as a colonial plantation, George Washington was born and lived here until age three, returning later to live here as a teenager. Home of George Washington built in 1735. The house began as a one and a half story farmhouse and was slowly enlarged for the next 45 years after George acquired the property in 1754. Built as a residence for Gouverneur Morris when he visited his large landholdings in the north and for use by his land agents. Called a "mansion" because it was bigger than other homes in the area. Home of the United States Founding Father George Mason. 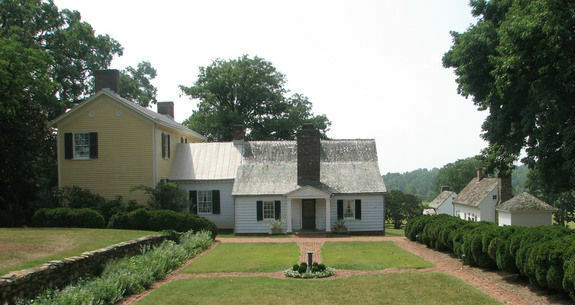 Built in the 18th-century and located near the Potomac River in Mason Neck, Virginia, USA. Named "The Grange" after Hamilton's grandfather's estate in Scotland. 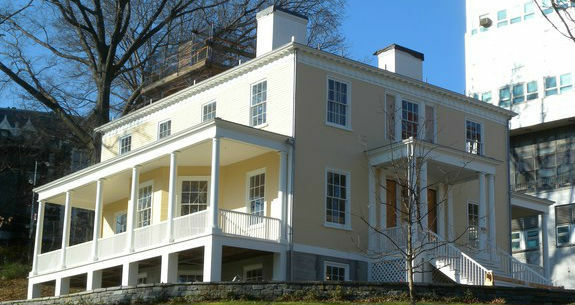 Home of Alexander Hamilton which was completed in 1802, and has been relocated twice, first in 1889 and again in 2006. 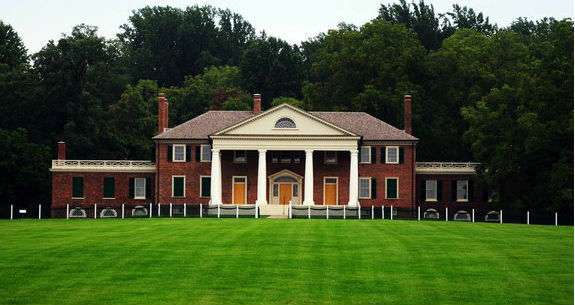 James Madison's Montpelier was home to the Madison family, including fourth President of the United States, James Madison, and his wife Dolley. Owned and operated by Pres. James Monroe for twenty-four years. Today, it serves as a reminder of the invisible work force that enabled the plantation system to work and thrive. 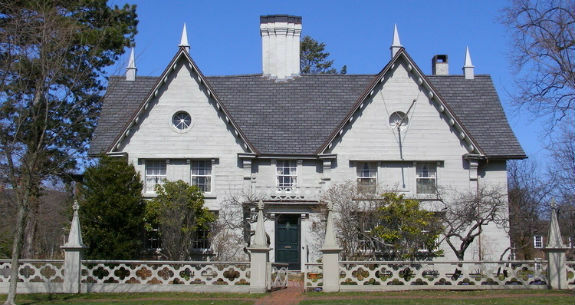 Generally known as Poplar Hall, this property was home to John Dickinson, known as the "penman of the Revolution". The mansion opened as a museum in May 1956 and is still in operation to this day. Located in Katonah, New York. The homestead is also known as Bedford House or as John Jay House. 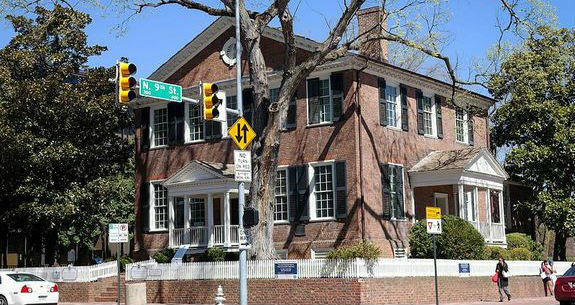 It was the home of statesman John Jay, first Chief Justice of the United States. The home of Rufus King, one of America's founding fathers and signer of the Constitution, where he lived until 1825. 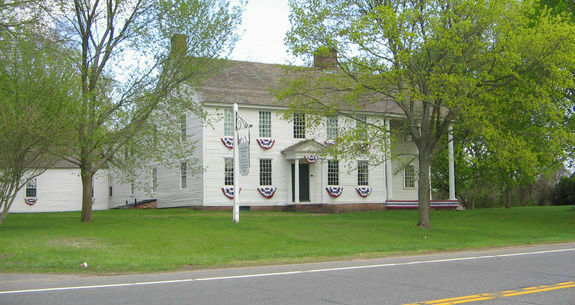 Home of Nathan Hale, it is also known as the Deacon Richard Hale House. The house was sold to a series of other families for private residence. Today, it operates as a historic house museum. Also known as Elmwood, built in 1781. The original house is a two story wood frame on a stone foundation and was continuously occupied by the family of Oliver Ellsworth until 1903. Owned by Jacob Osgood, friend and host to James Otis. Otis spent nearly two years at the Osgood farm recuperating from a head injury and was killed here by lightening in 1783. The only original standing home of the Patriot and Orator of the American Revolution, Patrick Henry. He lived here from 1771-1778 and where he formulated the ideas of his “Liberty or Death” speech. Last home and burial place of the "voice of American liberty", Patrick Henry. Birthplace of John Berrien and was George Washington's final headquarters of the Revolutionary War. It is believed to be the second oldest house in the Millstone River Valley. Built in 1790 by John Marshall, known as the Great Chief Justice of the United States. He lived there for forty-five years until his death in 1835. Home of Col. Timothy Pickering. Built in 1660, the property is one of America's oldest house and was home to a single family for over three and a half centuries. 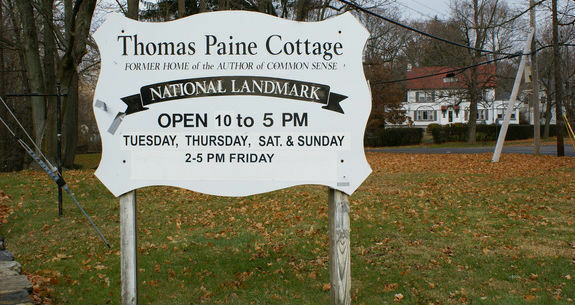 The Thomas Paine Cottage is the last structure in North America that the Founding Father, Thomas Paine, owned as his home and is open to the public as a historic house museum. Originally constructed in 1726 by British Gen. John Winslow. 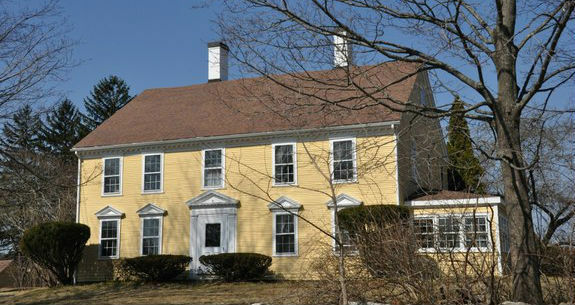 In 1757, James Warren and his wife, Mercy Otis moved into the house. The Warrens were among the leading Patriots of the Revolutionary era.